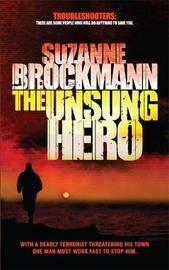 The new Suzanne Brockmann novel from Headline and the first book in the Troubleshooters series. Troubleshooters: Danger can be addictive. After a near-fatal head injury, US Navy SEAL Lieutenant Tom Paoletti is forced to take a leave of absence from his Seal team, the Troubleshooters. Being out of the action is so far out of character that he thinks a visit home to New England may be the answer. So much the better if that means he can see Dr Kelly Ashton again. Then the unthinkable happens as Tom catches a terrifying glimpse of an international terrorist in his hometown. When he calls his superiors for help, the Navy dismisses the danger as injury-induced imaginings and worse, threatens to take him off-duty permanently. In a desperate, last-ditch effort to prevent disaster, Tom creates his own makeshift counterterrorist team, assembling his most loyal officers, two elderly war veterans, a couple of misfit teenagers and Kelly herself. As the clock ticks down will the town's infamous bad boy save the day and perhaps get a lasting chance for happiness or will the unthinkable happen and a terrorist strike right in the heart of America? Suzanne Brockmann has written more than forty books, and is now widely recognised as one of the leading voices in women's suspense writing. Her work has earned her repeated appearances on the USA Today and New York Times bestseller lists, as well as numerous awards. Suzanne Brockmann lives west of Boston with her husband, author Ed Gaffney.